Buhari writes Senate, makes 26 new appointments (FULL LIST) – Royal Times of Nigeria. President Muhammadu Buhari has written the Senate to confirm Festus Okoye as National Commissioner for the Independent National Electoral Commission (INEC). Mr Okoye is among 26 new appointees the president wrote, in separate letters, to the Senate for confirmation. President Buhari’s request on Mr Okoye was contained in a letter read by the Senate President, Bukola Saraki, shortly before the Senate adjourned plenary on Tuesday. The letter reads, “In accordance with the provision of section 154(1) of the 1999 constitution as amended, I rise to forward to the distinguished senators the name of Barrister Festus Okoye for confirmation as National Commissioner representing South-east geo-political zone. “While hoping that this request will receive the usual expeditious consideration, please accept Mr President the assurances of my highest regard,”. Mr Okoye, an indigene of Imo State, is the Executive Director, Human Rights Monitor, and a Solicitor at the Supreme Court of Nigeria. 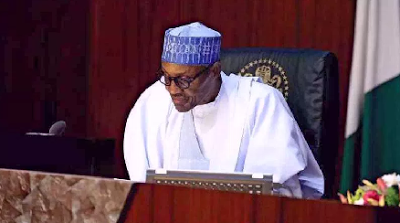 President Buhari also in other letters dispatched to the Senate, sought the confirmation of 23 members of National Population Commission and two non-legal practitioners as members of Federal Judicial Service Commission. The 23 nominees for the National Population Commission are; Nwanne Johnny Nwabuisi (Abia), Dr Clifford Zirra (Adamawa), Mr Chidi Christopher Ezeoke(Anambra), Barrister Isa Audu Buratai (Borno), Navy Captain Charles Iyam Ogwa(Cross River), Sir Richard Odibo(Delta), Okereke Darlington Onaubuchi (Ebonyi) and Mr A.D. Olusegun Aiyajina (Edo).